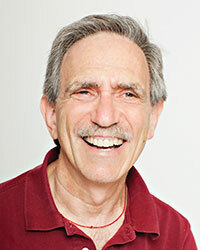 James Baraz is a founding teacher of Spirit Rock Meditation Center. James started the Community Dharma Leader program, the Kalyana Mitta Network, helped create the Heavenly Messengers Training Program and is teacher-advisor to the Spirit Rock Family program. James has been leading the online course Awakening Joy since 2003. In recent years, he has been focusing on Dharma and Climate Change, and serves as an advisor to One Earth Sangha, a website devoted to Buddhist responses to Climate Change. For more information, visit awakeningjoy.info. His books include Awakening Joy with Shoshana Alexander, and Awakening Joy for Kids with Michele Lilyanna.